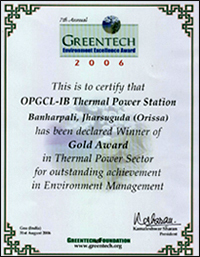 "Greentech Environment Excellence Gold Award-2006" received by OPGC on 31 August 2006 at Goa, from Greentech Foundation. 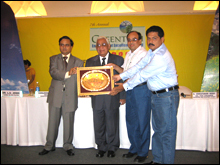 The Prize was distributed by Dr. Wilfred D'Souza, Hon'ble Dy. Chief Minister & Minister of Environment , Science and Technology, Govt. of Goa..